Buy Strong Dog Toy on Rope for Mastiff Training and Fun, 2.8"
Home Mastiff Dog Toys and TugsStrong Dog Toy on Rope for Mastiff Training and Fun, 2.8"
Strong Dog Toy on Rope for Mastiff Training and Fun, 2.8"
Strong dog toy is made of strong and safe rubber and intended for a medium or large dog. It is a perfect dog chewing toy for your pet! 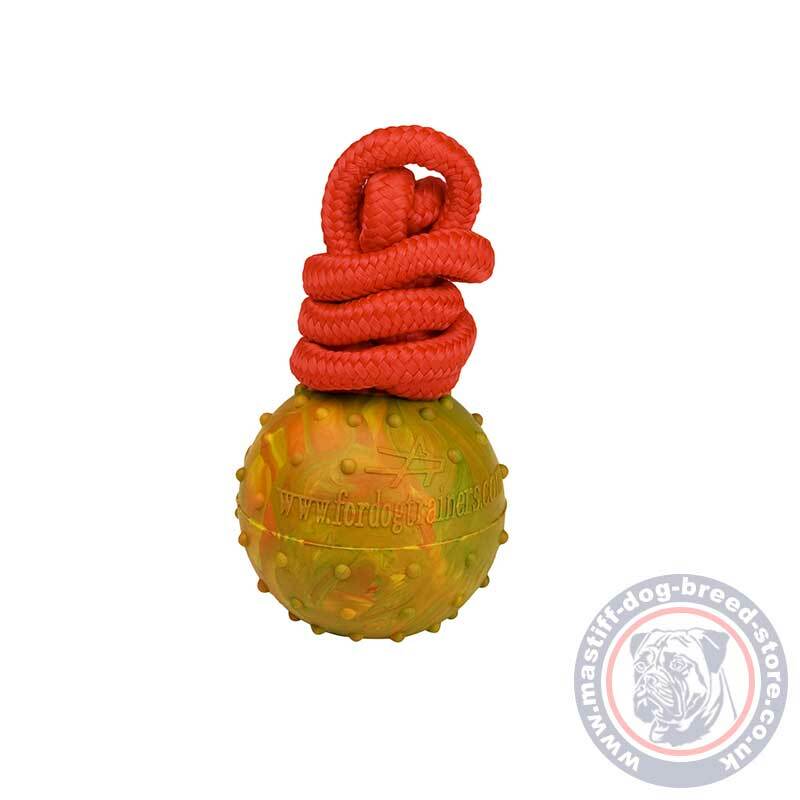 The rope makes is a perfect tool for outdoor games, fetching and training of your dog to retrieve, catch and bring a toy. This is the bestseller strong dog toy for medium and large dogs. Solid rubber is a perfect material for dog chewing. Entertain your dog with this quality dog toy! It is perfect for interactive games with your dog and your dog will also enjoy chewing and rolling it on his own.